CoBoss is a Mastermind Program at WingSpace Coworking — designed for small business owners and freelancers who want to be part of a proactive support system in the Prescott Area. CoBoss has been completely revamped for 2019! What if you had a support system around you to help you break through the challenges you encounter? Why try to figure it all out yourself? Grow your business and tackle all of your biggest challenges alongside others doing the same. When you join our 6-week CoBoss Mastermind program at WingSpace you get to choose how you want to participate based on your time and interests. We have accountability groups, business book challenge groups, idea exchange sessions, skill-share groups. work sprint sessions, discussion groups and more. It starts with a personal evaluation, so you can identify exactly where you are now and where you want to go. When you click the registration button below it will open the personal evaluation form. Your registration fee covers the entire program. There are no additional participation fees. Any additional costs would be for example: to purchase a book for a book challenge. Join us for our big group Kickoff meeting to learn about the program details, decide which group(s) to join, which activities you want to attend, and get all your questions answered. At the Kickoff event you’ll have the opportunity to choose a CoBoss Group to join. 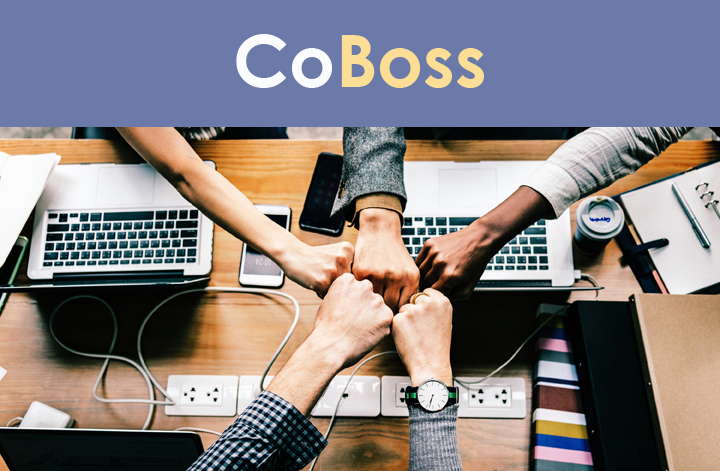 There are three different types of CoBoss groups. See detailed descriptions below to help you decide which type of CoBoss group you’d like to join based on the type of experience you desire. Yes, you can join more than one type of CoBoss group if you feel you can fit it into your schedule. There are also three different types of activities that you can participate in. See the CoBoss Calendar. On February 28th we will have a Show & Tell Party. This is a day where you’ll have a chance to show off your progress—or share the lessons you learned from the challenges you encountered! Either way, we’ll celebrate. After you fill out the registration form we will email you an online invoice for payment, or you can come in to WingSpace to pay in person. If you have any questions feel free to contact Melanie at (928) 239-5656. Do you need a little accountability to keep you motivated on your current work projects and tasks at hand? Join an accountability group that will meet via phone conference call once a week for 6 weeks. 1-hour mastermind calls. This group will choose a business book to study together and implement at least one of the concepts in the book. You can meet at WingSpace for your 1-hour study sessions once a week. Join this group and the participating members will decide which days and times meet based on your schedules. We recommend 3 to 5 people for this type of CoBoss group. Do you have a valuable skill or service that you would be willing to trade in exchange for learning a new skill or program from someone else? Do you have good skills with any of the following programs such as Excel, Google Docs, Trello, Quickbooks, Airtable, Mailchimp, Canva, Facebook Marketing, Squarespace, Slack, or something else that others would like to learn? Maybe your skills are more service orientes such as sewing, house painting, coaching, organizing, or style makeovers (hair/makeup/nails, etc). Join this group and the participating CoBoss members will decide how often to meet, where to meet, and which days and times to meet based on your schedules. You are welcome to meet at WingSpace. The idea exchange sessions are 90 minute long sessions. Show up to get feedback, insight, and direction from other CoBossers. Get help with things like slogans, website improvements, new ideas, critiques on your social media posts and ads, feedback on your branding, etc. Each person gets up to 15 minutes on the gift seat. Show up to watch an episode of the ‘Small Business Revolution’ (SBR) with us. We’ll be watching shows from Season 1 during this CoBoss Session. Marketing expert Amanda Brinkman and celebrity entrepreneur Robert Herjavec (Shark Tank), along with marketing gurus from Deluxe, bring their business and marketing expertise to the small town of Wabash to revitalize a handful of small businesses which changes their lives forever. After watching each episode we will have a group discussion about the practical and creative choices that were recommended for and implemented by the small business featured on the show. We’ll open the conversation for additional ideas from within our group. This is a great way to see what it means to scale your business, and also how to solve problems creatively. We’ll have light snacks available. Come work at WingSpace every Wednesday morning 9 am – 11 am in the Cloud Café at WingSpace for a Work Sprint. Work Sprint sessions are great for working on specific projects like writing your next blog post or newsletter, responding to emails, or setting up a Trello board for a work project. A Work Sprint would be a great way for a Skill Share Group to work in close proximity.